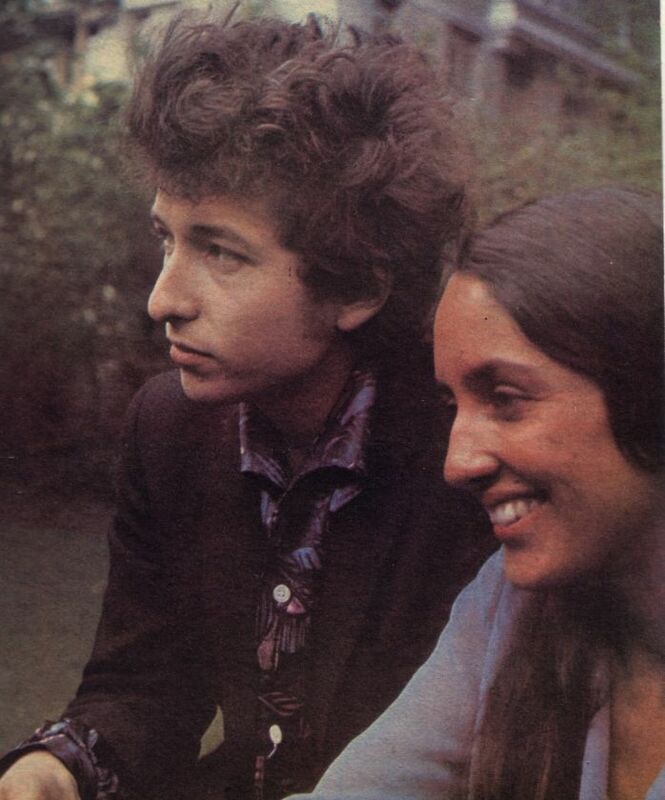 Baez first met Dylan in 1961 at Gerde’s Folk City in New York City’s Greenwich Village. Check out this full post about the song. 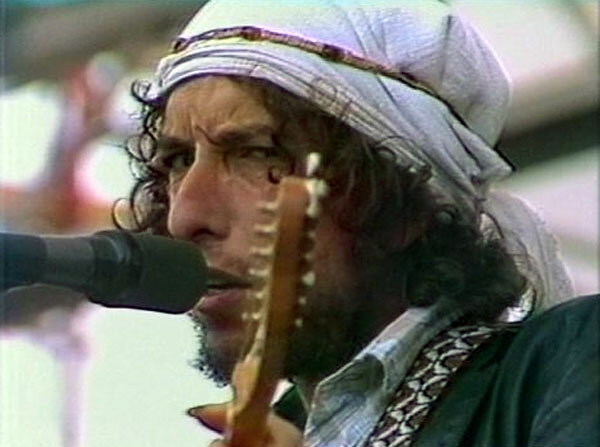 In pouring rain, Dylan plays the open air Hughes Stadium at Colorado State University in Fort Collins. He has elected to film this show to replace the aborted TV special from Clearwater. In the longest set of the tour, there are several highlights, not all appearing in the TV special. … Included in the TV special, although in a most peculiar order, are second encore “A Hard Rain’s a-Gonna Fall,” the entire Dylan/Baez set (“Blowin’ in the Wind,” “Railroad Boy,” “Deportees,” and “I Pity the Poor Immigrant”); three songs from the first set (“Maggie’s Farm,” “One Too Many Mornings,” and “Mozambique”); and three from the last set (two tremendously powerful readings of songs from Blood on the Tracks, “Idiot Wind” and “Shelter from the Storm” and a faded “Knockin’ on Heaven’s Door”). Despite the storm clouds raging, the crowd appears to be very enthusiastic, even singing “Happy Birthday” for Dylan before the second encore. 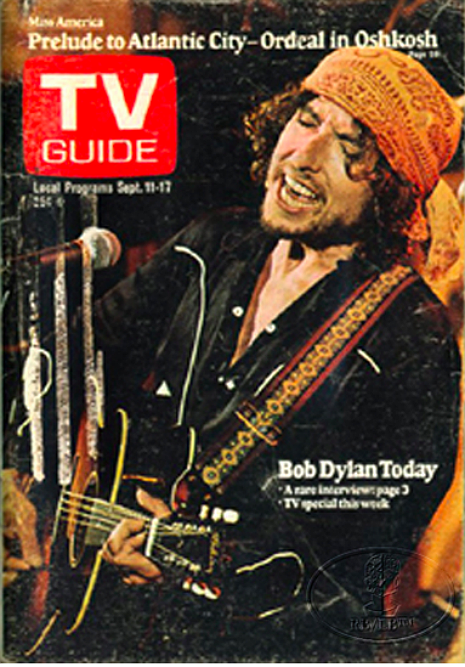 Dylan appeared on the September 11-17, 1976 issue of TV Guide and consented to a rare interview with the magazine to promote his first network television special. Four of the eleven (ten in the video below) performances heard in the television broadcast (“Maggie’s Farm”, “One Too Many Mornings”, “Shelter from the Storm”, and “Idiot Wind”) were included on the nine track album of the same name released by Columbia records ten days before the special aired.